There is convincing evidence that obesity increases the risk of 13 cancers and studies have shown that intentional weight loss reduces that risk. Few studies have to date examined the role that bariatric surgery plays in intentional weight loss and cancer risk. This paper reports on a retrospective cohort study of 22,198 participants who had undergone bariatric surgery in the US between 2005 and 2014 and matched non-bariatric patients of similar age, gender, BMI and comorbidity index (3:1). Mean follow up was for 3.5 years. 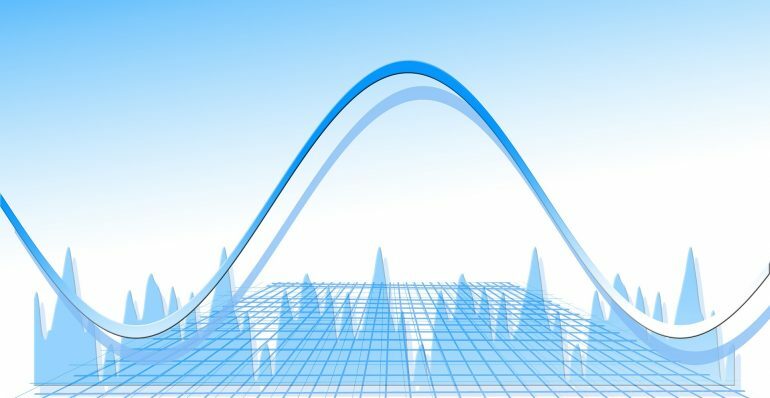 Multivariable Cox proportional-hazards models were used to examine incident cancer up to 10 years after bariatric surgery compared to the matched nonsurgical patients. During follow up 2543 incident cancers were recorded in participants. Surgical patients were a third less likely to develop any cancer compared to the matched nonsurgical patients (HR 0.67, 95%CI 0.60, 0.74, P < 0.001). Results were stronger in cancers that obesity is known to be a risk factor e.g. postmenopausal breast cancer (HR 0.58, 95% CI 0.44, 0.77, P < 0.001), colon cancer (HR 0.59, 95% CI 0.36, 0.97, P = 0.04), endometrial cancer (HR 0.50, 95% CI 0.37, 0.67, P < 0.001), and pancreatic cancer (HR 0.46, 95% CI 0.22, 0.97, P = 0.04). The authors acknowledge that more research is needed to identify the mechanisms through which bariatric surgery lowers cancer risk. This paper reports estimates of the proportion and number of invasive cancer cases and deaths attributable to known potentially modifiable lifestyle choices, in adults aged 30 years and older in the United States in 2014. The exposures studies included smoking; excess body weight; alcohol intake; consumption of red and processed meat; low consumption of fruits/vegetables, dietary fibre, and dietary calcium; physical inactivity; ultraviolet radiation; and 6 cancer-associated infections. Data on cancer cases and deaths were obtained from the Centres for Disease Control and Prevention (CDC) and the National Cancer Institute. Risk factor prevalence estimates were obtained from nationally representative surveys; and associated relative risks of cancer were obtained from published, large-scale pooled analyses or meta-analyses. The authors estimated 42% of all incident cancers and 45% of cancer deaths were attributable to evaluated risk factors. Cigarette smoking accounted for the highest proportion of cancer cases and deaths (19% and 29% respectively), excess body weight (7.8% and 6.5%, respectively) and alcohol intake (5.6% and 4.0%, respectively). Lung cancer and colorectal cancer had the highest number of cancers attributable to evaluated risk factors. This paper reports on a prospective cohort study to investigate the association between coffee intake after a diagnosis of colorectal cancer (CRC) and mortality. Data from the Nurses’ Health Study (1984-2012) and Health Professionals Follow-up Study (1986-2012) were used to identify those diagnosed with stage 1 or 2 CRC (questionnaire data and case note review). Coffee intake during the previous year was self-reported (semi-quantitative food frequency questionnaires (sFFQ)). Pre-diagnosis dietary intake was assessed using last sFFQ prior to diagnosis; post diagnosis intake was collected at least 6 months but not more than 4 years after diagnosis (median time from diagnosis to the dietary assessment, 2.2 years). During follow up (median 7.8 years) 188 deaths due to CRC were recorded. In multivariable adjusted models, compared with nondrinkers, those who drank at least 4 cups of coffee (caffeinated and decaffeinated) per day had a 52% lower risk of CRC-specific death (hazard ratio [HR] 0.48; 95% CI, 0.28-0.83; p=.003) and 30% reduced risk of all-cause death (HR, 0.70; 95% CI, 0.54-0.91; p <.001). Similar results were found for those who drank 2 or more cups/day. Authors concluded an association between intake of caffeinated and decaffeinated coffee after diagnosis of CRC with a lower risk of CRC-specific death and overall death. 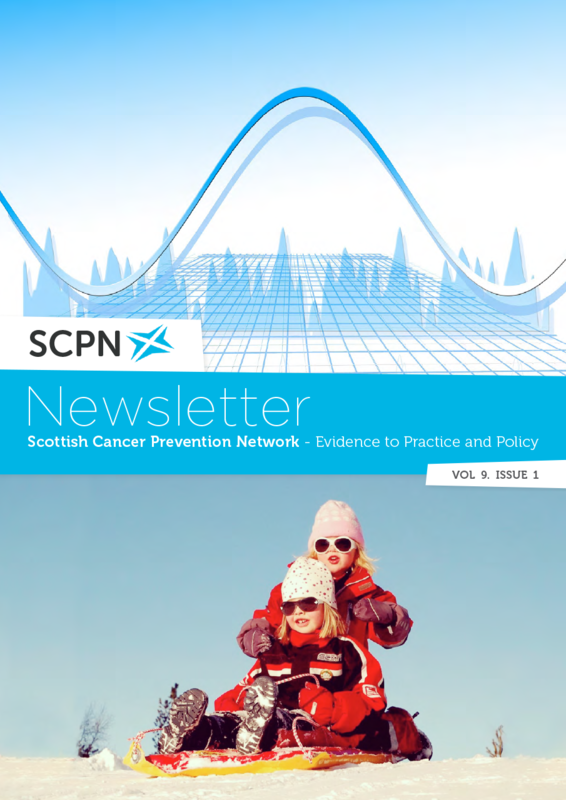 The first issue of 2018, with contributions from Alcohol Focus Scotland, SCPHRP, Nourish Scotland, Obesity Action Scotland and Exercise Works in practice and policy, as well as the latest updates on research in prevention and screening.